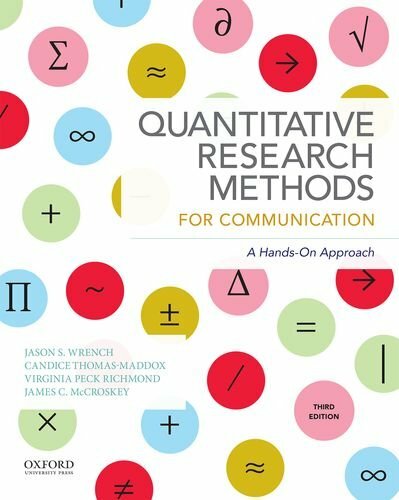 019045640X –Quantitative Research Methods for Communication: A Hands-On Approach, Third Edition, is a comprehensive and engaging guide to quantitative research. Drawing on their extensive research and teaching experience, the authors encourage students to take an active, hands-on role in the learning process. After giving students the tools they need to locate, conduct, collect, and present their research, the text provides them with the opportunity to immediately apply these skills in research scenarios.